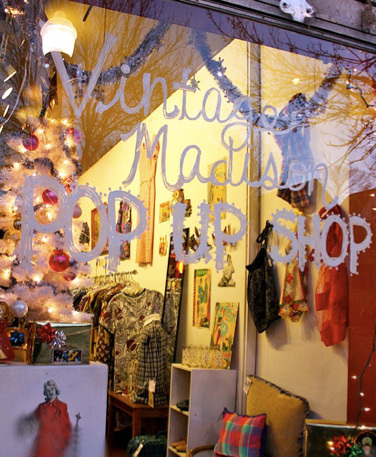 So, I haven't been blogging lately because I was so incredibly busy this week with the Vintage Madison Holiday Pop-up Shop! We started setting it up last Monday, opened on Thursday and took it down yesterday. It was a whirlwind! I had a ton of fun though, and was quite sad packing everything up yesterday. Thursday night was our "sneak peak" opening party, with DJ Record Jammer Slayron (great name, right?!) providing music, and I was so pleased with the turnout. 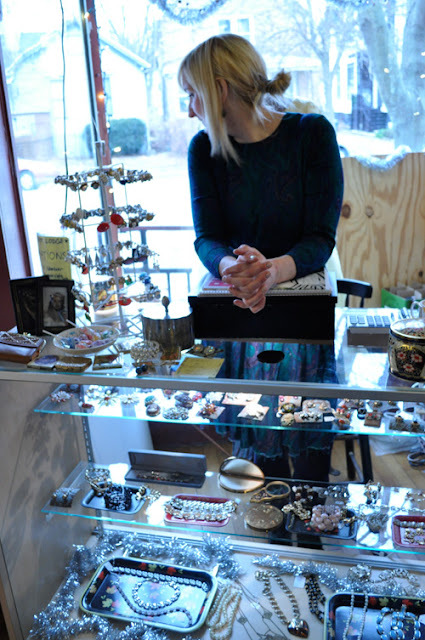 We were really busy all weekend, and everyone who came in was so sweet and wonderful. It made me think even more about opening a "real" shop of my own. . . Well, I've been thinking about it for a long time, and think it would be great. 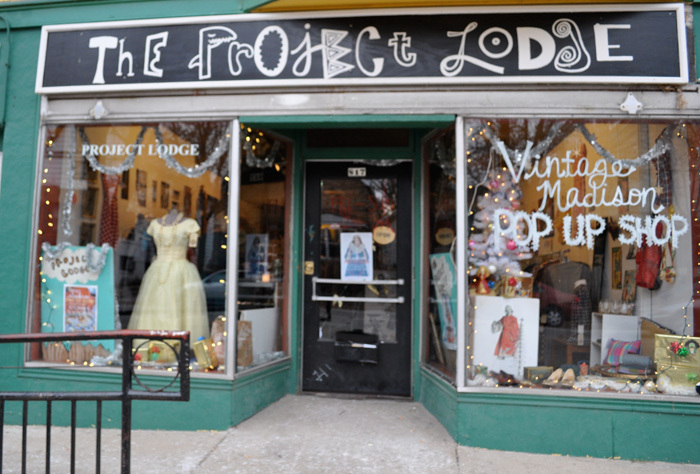 However, I'm aware of the fact that having a shop wouldn't always be as fun as the pop-up shop was. But, still, it's an idea that I'm kicking around. I think we had a pretty good variety of clothing, accessories, Holiday gifts. 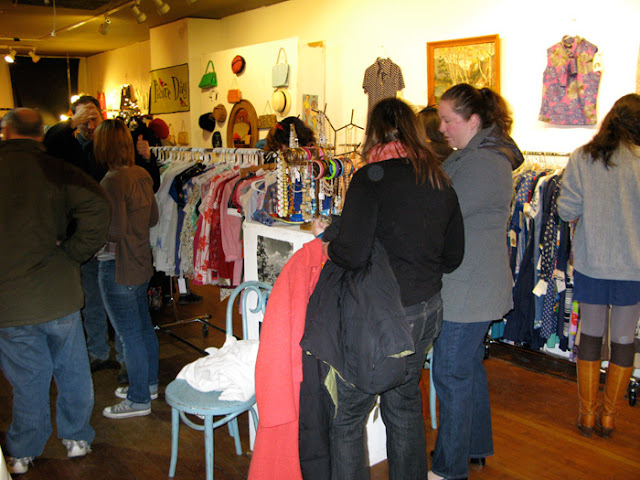 . . And people were amazed at how well we transformed the space in only a couple of days. 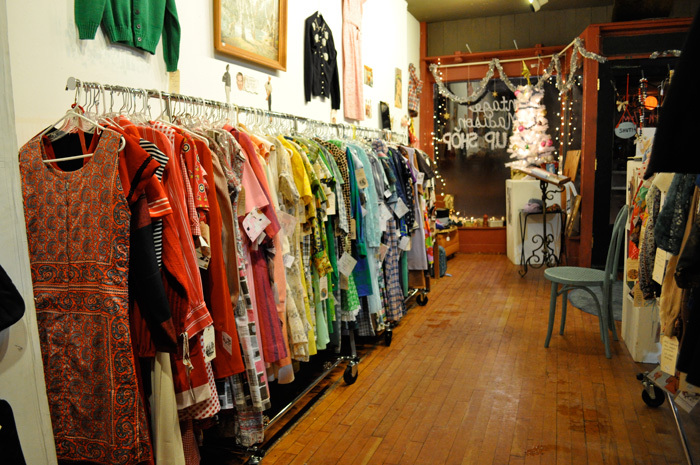 So, I'm curious-- what do you like about your favorite vintage shop? Or, better yet, what makes you excited about any shop in general? Now that I've gotten my feet wet, I'm thinking of ways to improve the next pop-up shop (or full-time shop).